Okay... so they're not EXACTLY the same, but I'm still calling dupe. 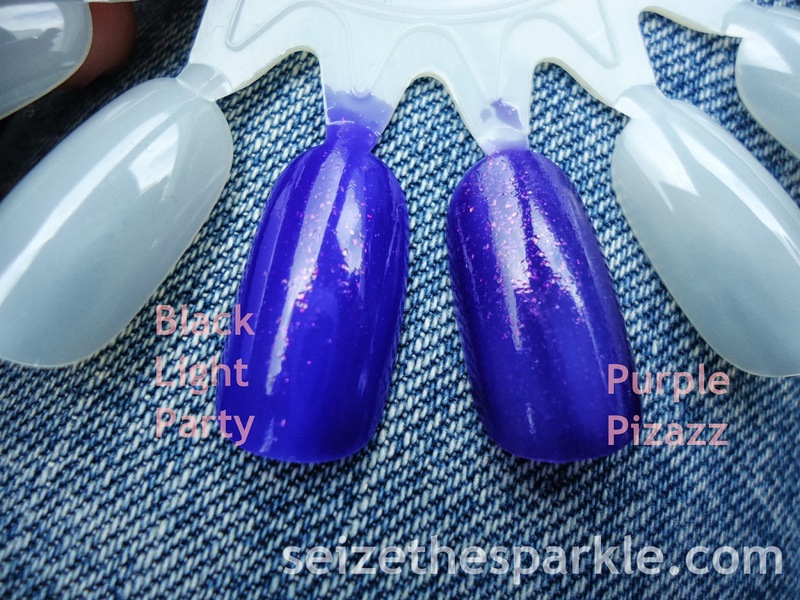 Purple Pizazz has a little more glitter, but Black Light Party definitely went on smoother. Purple Pizazz was still a little streaky at 4 coats. It also leans very slightly more towards purple than Black Light Party. And now that I'm thinking about it... 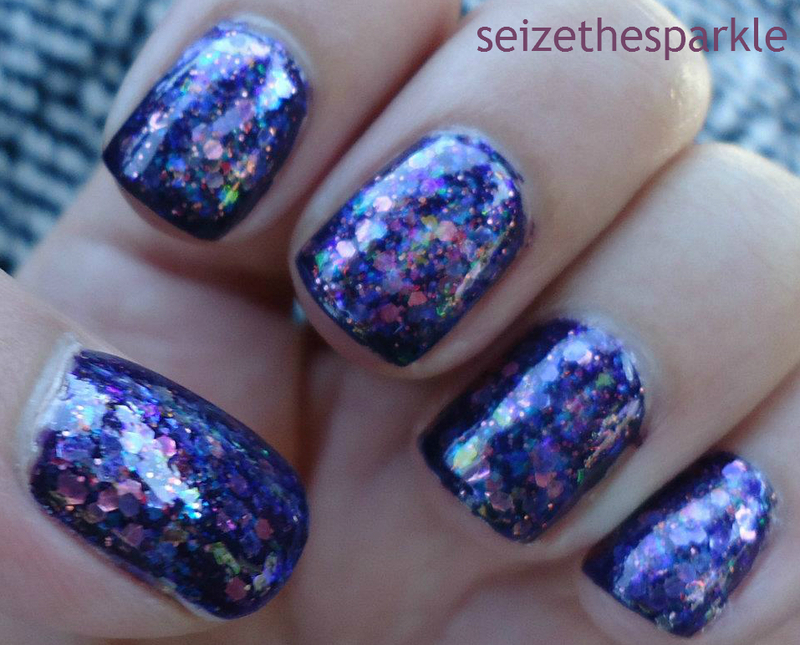 Remember those layerings I created with Sally Hansen Pink-Grape Fruit? Maybe not so much this one, but DEFINITELY this one! (I didn't get quite so carried away with the latter... Oo) I'm sure that Pink-Grape Fruit would look AMAZING layered in between Purple Pizazz or Black Light Party! Black Light Party is available exclusively at Dollar General stores and retails for $2 a bottle.